13 December 2018 Just for Fun! I bet you can predict what I'm going to tell you! The weather is...not good. So we sit, hunkered down, waiting for the weather to improve! The Antarctic has bad weather...who knew? My flight to the South Pole has been delayed several times per day, every day (except Sunday – there are no flights on Sundays) for an entire week! The weather is harsh and unpredictable! And so, we are waiting on weather good enough to fly. There are lots of interesting things to see around here! Click the "Media" tab to see a short video of some of the interesting things there are to see around McMurdo! This is an example of Fata Morgana, a mirage that can occasionally be seen when a layer of warm air sits atop a layer of much colder air. It makes things in the distance that are close to the ground appear to float, be upside-down or elongated. Photo Credit David Mikolajczyk. In calm weather, a layer of much warmer air sits over colder (more dense air), that forms an "atmospheric duct" that acts like a refracting optical lens, that makes things on the horizon appear to be upside-down, floating or stretched up. It doesn't happen often, but when it does, it is something that everyone notices! International Cooperation and Friendly Competition. 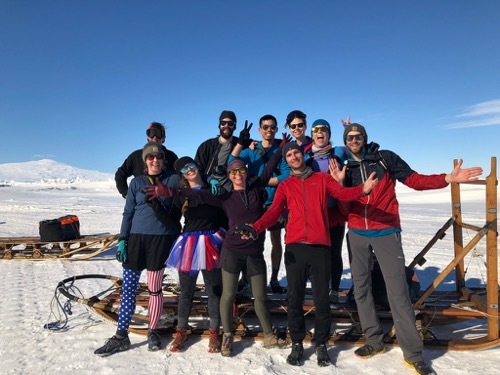 In the spirit of international cooperation, we here at McMurdo Station engage in friendly competitions with the Kiwis (New Zealanders) at their Scott Base. Earlier this week there were two competitions. The first was the tug-of-war. The story is that it had been an annual event for decades, but for some reason, it was stopped in the late 1980s. Then, it was restarted in 2014. Both bases recruited both a women's and men's teams and each was limited to a specific weight for the team. The Kiwi men were undefeated since 2014 when the event restarted. The event started with the women's teams. There were three pulls for the women with the New Zealand women winning two of the three. But the American men won two of their three pulls breaking the Kiwi's winning streak! Then there was a men's and women's combined pull and the Americans won that too! It was a lot of fun to watch! 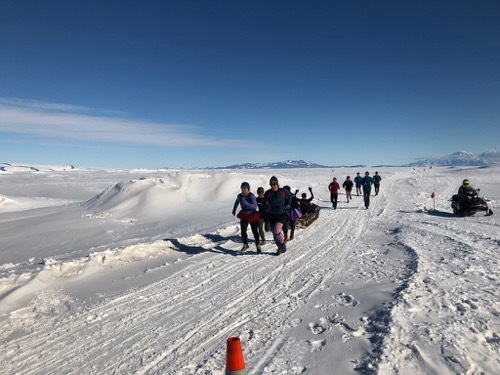 There is an annual Tug-Of-War with the Kiwi (New Zealand) Scott Base. The American men won back the trophy after losing for three years straight. The American women lost, but the Combined American team also beat the New Zealanders! The other competition was the "Man Haul" against the New Zealanders. Essentially it is a team that drags a sled a certain distance for time. The New Zealanders won the "Man Haul" this year! 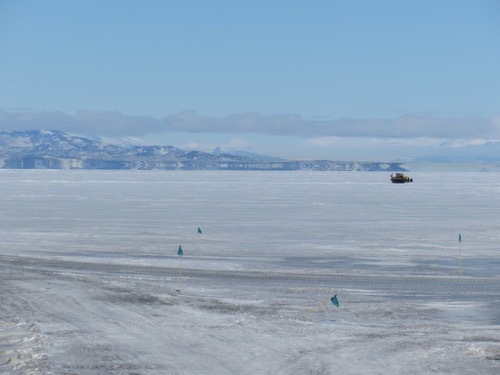 The Man-Haul competition here in Antarctica. The American Man-Haul team. I've met lots of very interesting people. There are, of course, lots of scientists that are all working in Crary lab. Everyone is very neighborly and is happy to talk about their projects. (For those of you back in Pittsburgh, I even met one who attended North Allegheny High School!) An interesting tradition here is to exchange "Project Stickers." Every project has a sticker and they are a popular item here! 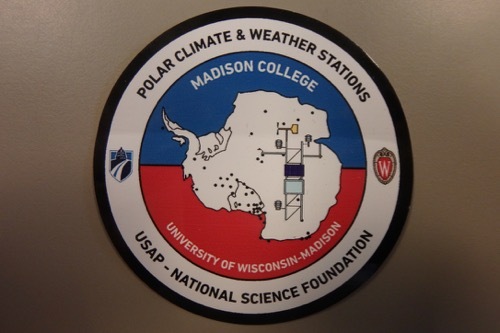 The is the Automatic Weather Station (O-283) sticker. Obviously the coolest and most sought after sticker in Antarctic – because this is my project! The scientists aren't the only interesting people here. Not even close. There are lots of support contractors here who are all masters at their trades. Just about everyone here has a very interesting background too. There are several Ph.D.'s, medical doctors and school teachers that are here as mechanics, "Fuelies", heavy equipment operators, shuttle drivers, and custodians. 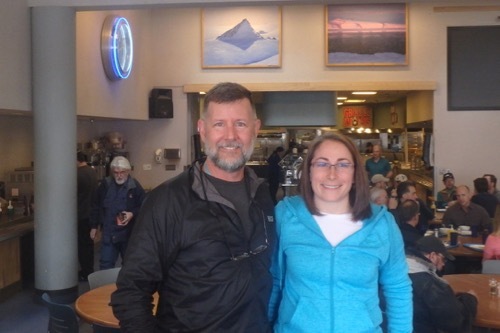 I met Michelle Oleary, a school teacher, who is here for the season working as a custodian. I'll write more about Michelle in a later journal. A fellow school teacher, Michelle OLeary, who teaches in Anchorage, Alaska is here for the season working as a custodian. Working here has made her a better Geography teacher and has allowed her to visit all seven continents! I don't know the answer to why it is annually or why the competition stopped in the 80's. I do know that they do lots of competitions from darts to card games! It is all in the spirit of good fun and international cooperation and antarctic camaraderie!